The Minister of Power, Works and Housing, Mr Babatunde Fashola, says the era in which the presence of the Federal Government is lacking in states is over. 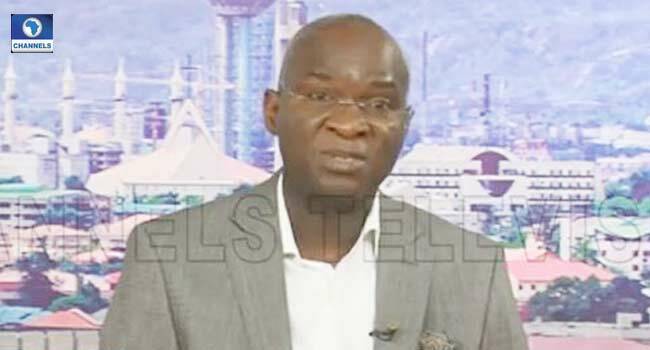 Fashola stated this on Monday during an interview on Channels Television’s Business Morning, while explaining that various constructions are ongoing in all states across the country. “I can tell you that road construction is going on in all the 36 states of the country. At least, there is one road connecting in one state or the other. “In some states, there are three, in some states, there are five, in some states, there are eight. What you used to hear before that there is no federal presence in our states, you haven’t heard that lately because if we are not building a road in a state, we are building a house or intervening in a transmission system,” he said. According to the minister, infrastructure is a crucial investment which successive governments have undertaken since the civil war that ended in 1970. He, however, reiterated the commitment of the Federal Government in the delivery of infrastructure that will boost the economy and in turn, the wellbeing of Nigerians. “With the rail coming, with the airports being completed, with the roads coming, you will see as we go down the line competitiveness in pricing and efficiency, manufacturing will pick up, jobs will come. If companies can move goods four times quicker than they used to, they will expand,” he said.